Gibson Dunn | Murr, Ryan A.
Ryan Murr is a partner in the San Francisco office of Gibson, Dunn & Crutcher, where he serves as a member of the firm’s Corporate Transactions Department, with a practice focused on representing leading companies, investors and underwriters in the life sciences and technology space. Mr. Murr currently serves as a Co-Chair of the firm’s Life Sciences Practice Group and as a member of the firm-wide Executive Committee. Mr. Murr represents public and private companies, investors and underwriters in the biotechnology, pharmaceutical, technology and medical device industries in connection with securities offerings and business combination transactions. 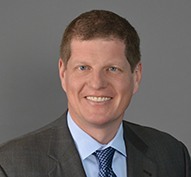 In addition, Mr. Murr regularly serves as principal outside counsel for publicly traded companies and private venture-backed companies, advising management teams and boards of directors on corporate law matters, SEC reporting, corporate governance, licensing transactions, and mergers & acquisitions. Mr. Murr has served as a member of the American Bar Association’s Mergers and Acquisitions Subcommittee, is a member of the San Francisco Bar Association, and is active in advising various not-for-profit entities in the San Francisco Bay Area. Prior to joining Gibson Dunn, Mr. Murr served as the Office Managing Partner for the San Francisco office of Ropes & Gray, LLP. Mr. Murr has represented issuers in a range of capital markets transactions, including initial public offerings, private placements (ranging from early-stage investments to crossover rounds and PIPEs), follow-on equity financings and debt financings. Notable financing transactions include representing a private equity-backed biotechnology company in its $160 million initial public offering in 2017, which was one of the ten largest IPOs in California in that year. In 2018, Mr. Murr represented a global private equity fund as the lead investor in a $300 million Series A investment in connection with a carve-out acquisition from a large pharmaceutical company. Mr. Murr has deep experience with a range of financing transaction structures beyond traditional underwritten offerings, including at-the-market offerings, PIPEs, and equity lines. Mr. Murr regularly represents investors in the life sciences and technology space, including private equity funds, hedge funds, and venture capital funds. Financing transactions have included public and private offerings ranging from passive investments to bespoke control structures and spin-outs. Mr. Murr has also represented underwriters in numerous capital market transactions, including initial public offerings and follow-on equity offerings. The successful defense of Depomed in the attempted hostile takeover by Horizon Pharma Plc, initially valued by Horizon at $3 billion. The representation of Ultragenyx Pharmaceutical in its $130 million sale of a Rare Pediatric Disease Priority Review Voucher awarded by the U.S. Food and Drug Administration. The representation of Depomed in a licensing and collaboration transaction involving the commercialization of certain specialty pharmaceutical products in a transaction valued at a minimum of $550 million over the initial four-year term. The representation of Rocket Pharmaceuticals in its $315 million merger with Inotek Pharmaceuticals. The representation of UCLA in the monetization of a royalty stream in a transaction valued at $1.145 billion, which was the largest monetization transaction ever by an academic institution. The representation of Silicon Graphics International (SGI) in the sale to Hewlett Packard Enterprise for $300 million. The representation of Lazard as financial advisor in Alexion’s acquisition of Synageva for $8.3 billion. The representation of Lazard as financial advisor in a $500 million cross-border merger-of-equals. The representation of a Fortune 500 technology company in the sale of a subsidiary to a private equity consortium in a transaction valued at $1.3 billion. The acquisition and in-license from Novartis and Roche of assets and intellectual property rights to their RNAi platforms. The sale of global rights to an approved antiviral drug approved for use in the hospital setting. The acquisition and disposition of broad technology platforms, as well as rights to individual products and drugs in the United States and globally, including a recent transaction involving the establishment of a strategic collaboration and license agreement in the cardiovascular space, coupled with an equity investment, valued at more than $670 million. Mr. Murr has also advised investment funds, biopharmaceutical companies and academic institutions in connection with royalty monetization transactions, including the purchase and sale of future royalty streams and financing transactions involving synthetic royalties.